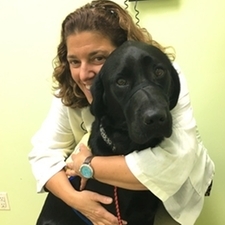 Englewood Cliffs Veterinary has served the northern New Jersey communities since 1972. The hospital was founded by Dr. Mitchell Rohleder. He retired in 1998 after Dr. Lisa Anne Attanasi purchased the practice. Under the direction of Dr. Attanasi, the hospital has expanded to provide the latest in integrative medical and surgical care. Acupuncture, laser therapy and herbal medicine have been added to the services we provide. Patient records are computerized. The equipment has been modernized and the physical facility renovated. While committed to progress, Dr. Attanasi adheres to the spirit of the original owner: offering individual attention and thoroughness in a friendly and familar atmosphere. We look forward to providing your pet with optimal care in a concerned and compassionate environment. You are encouraged to call the office with any questions regarding the care of an important member of your family.